Battletoads/Double Dragon (Nintendo NES) NEW SEALED H-SEAM MINT GOLD VGA 85+! 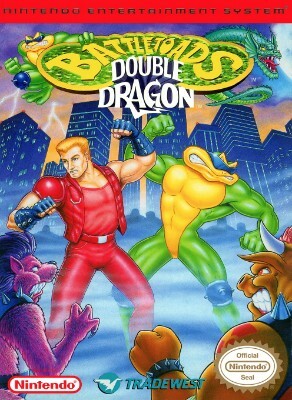 Battletoads & Double Dragon - The Ultimate Team (Nintendo Entertainment System,? Battletoads & Double Dragon for Nintendo NES, legit USA cart, great label cond.